You are here: Home / Life & Style / Four Financial Tips Engaged Couples Don’t Want To Hear, But Should! 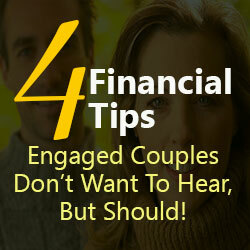 Share the post "Four Financial Tips Engaged Couples Don’t Want To Hear, But Should!" 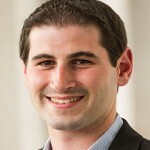 Michael Levenson, Co-Founder & CEO – After graduating from Syracuse University with majors in Finance and Entrepreneurship, Michael spent four years working at J.P. Morgan in New York City. During his last two years in finance, Michael focused on asset allocation and long term wealth planning as part of the Private Wealth Management division. In 2012 Michael’s entrepreneurial itch finally got the best of him which led him to join forces with Scott and Nick to launch Present Value. Currently Michael is fully entrenched in the wedding and baby “circuit” and found himself asking the same questions as Scott and Nick when it came to gift giving. He desired more than what traditional registries could offer and wanted to make a lasting impact on the lives of the couples he was giving gifts to. Launching Present Value was the solution.